This week, while speaking with John (Mugabi), I had the privilege of talking briefly with three sponsored students who wanted to say hello. All three are teenage boys–Akuku, Isaac & Emmanuel. Oh, they are so respectful and grateful for the help being given them. When John got back on the phone, he told me specifically about John Kinene (Chineney). John Mugabi had introduced John Kinene to us via e-mail on August 12th. John Kinene is 16 years. He has stayed on the street for 2 years, and he was a friend of Moses Babu. He lost his dad, and he is not sure where his mother is. 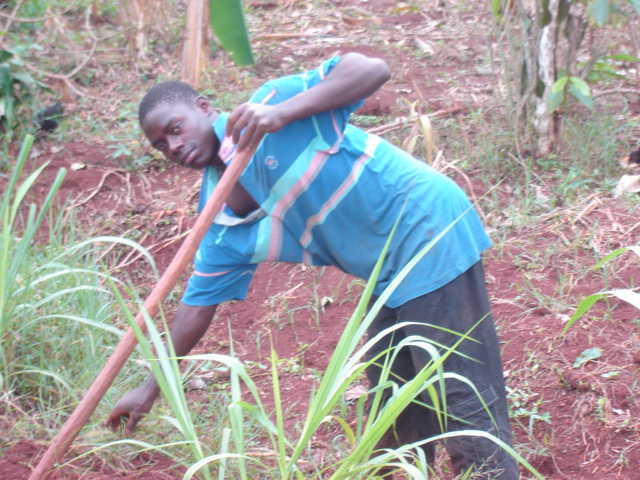 I gave him a hoe to plant maize at school. He is seeking to go back to school. John related to me what happened when John Kinene found out he was sponsored. 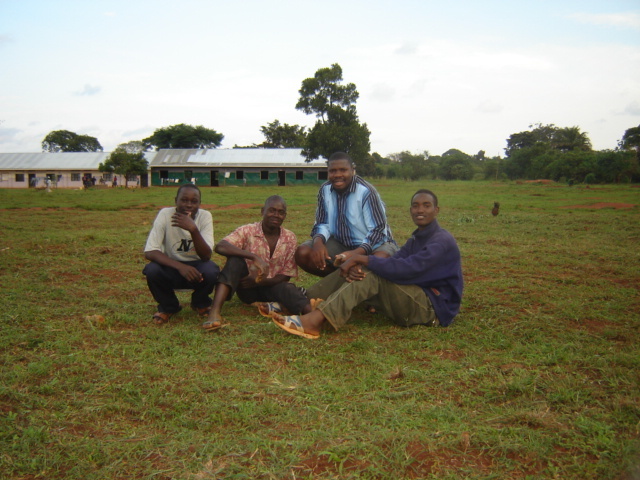 John Kinene, Daniel Sabwe, Moses Babu with John Mugabi-- all are helping construct the dining hall. He cried, he shed tears! He is from a Muslim background, and he was amazed that someone would help him. In Uganda there is nothing that brings joy as the hope of FOOD. When I was young, this was one of my fears. John Kinene openly thanked me for welcoming him. He said he was not afraid anymore because he is sure of food daily. I personally thank you for all this. There is an immeasurable impact on many lives.